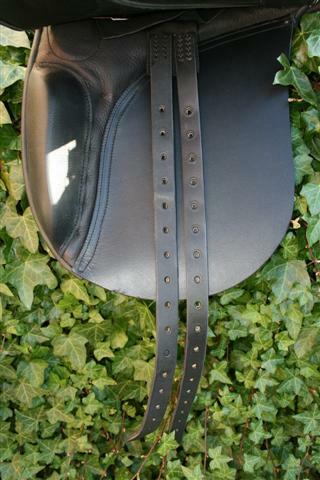 Home / Saddles / Yin Yang / The Heritage Yin-Yang – “Inner Balance” Dressage Saddle. Fully custom made to measure or off the peg. 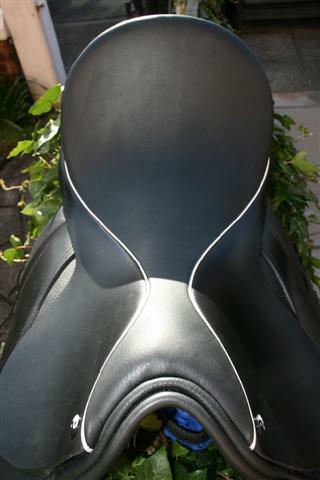 Yin-Yang – “Inner Balance” Dressage Saddle. 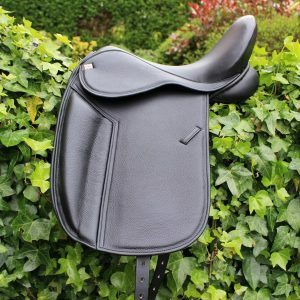 Our flagship Yin-Yang range comprises of this stunning Dressage saddle plus 3 jumping saddles, including the mono-flap, 2 GP’s and a Working Hunter saddle. 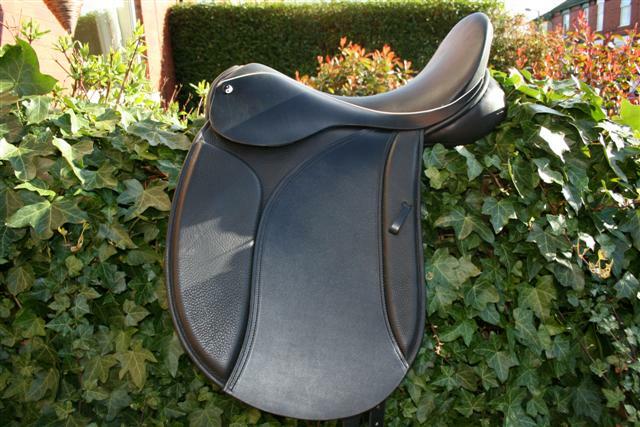 A stunning saddle that has a heavy emphasis on comfort and of course “Balance”. A modern and exciting design. 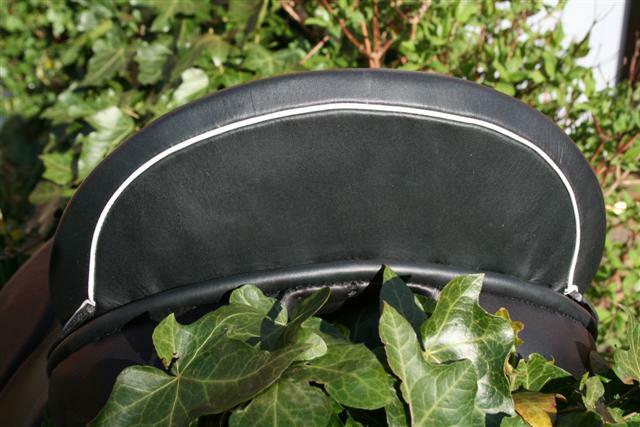 Including the trademark white piping in the seat to match our Yin-Yang headnail, makers plate and matching tack. You may choose the colour of this piping in the options above. 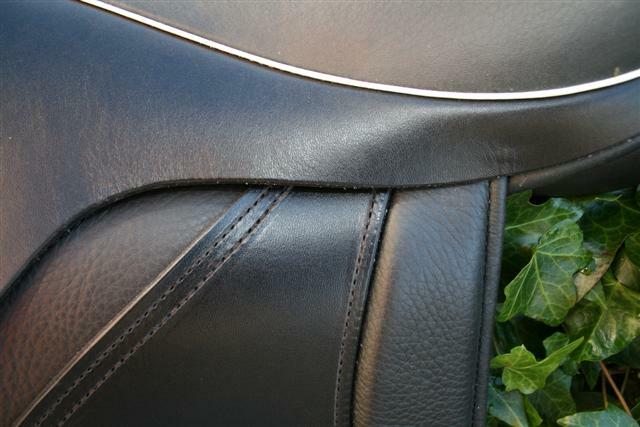 This world class saddle has Deep knee rolls and a deep Dressage tree. The position of the deep knee blocks offer balance and steadiness and promote the perfect dressage position without restriction. 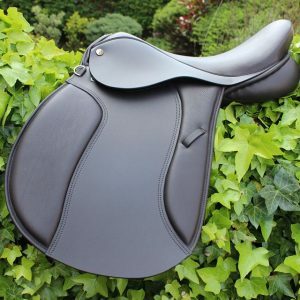 We can make this saddle on a deeper tree when requested but rest assured that, when choosing the Custom made options on this saddle, we will choose the correct tree to suit the horse and rider.This includes higher arch, deeper seat, narrower twist if needed etc. 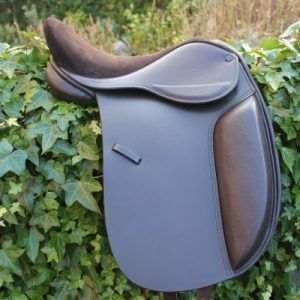 There is a well padded a thigh pad, we can make this saddle without this if preffered. The girthing arrangement can also be made with the “Y” system if preffered. 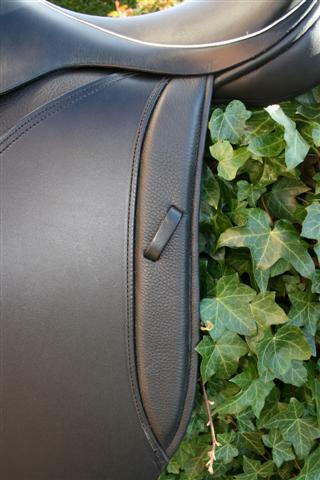 Please see a picture of this alternative girthing arrangement on the “The Cheshire – Traditional Dressage Saddle” page. Decades of thought and design have gone into the Woolen flocked panels. 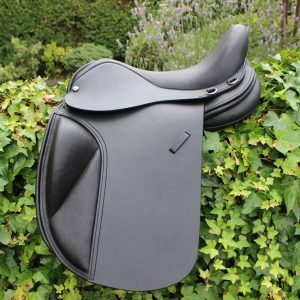 Our saddles fit because we understand the needs of each horse and rider and every saddles panel is individually cut and stuffed according to each horses conformation. Our saddles are “Unique Saddles for Unique Horses”. Fully custom made in the true sense. Not “altered” to fit from stock! We make this saddle with wide panels and gullet to enable the horse to swing through his back, this improves engagement. We can design an eventing package to suit each horse and rider from your choice of any two of the Dressage and jumping saddles in the range. And supply all the matching tack too. Please contact Matthew for a money saving quote on these packages. 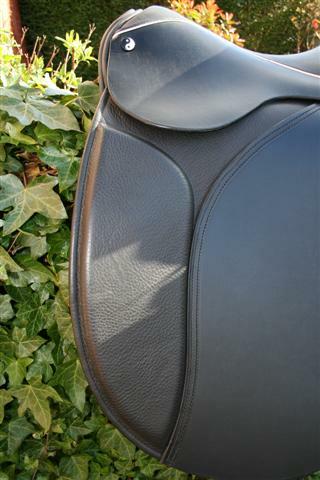 Matching super-soft padded leather, elasticated, Dressage/mon-flap girths are available. Let the Yin-Yang range of saddles help you to “Attain your inner balance”.